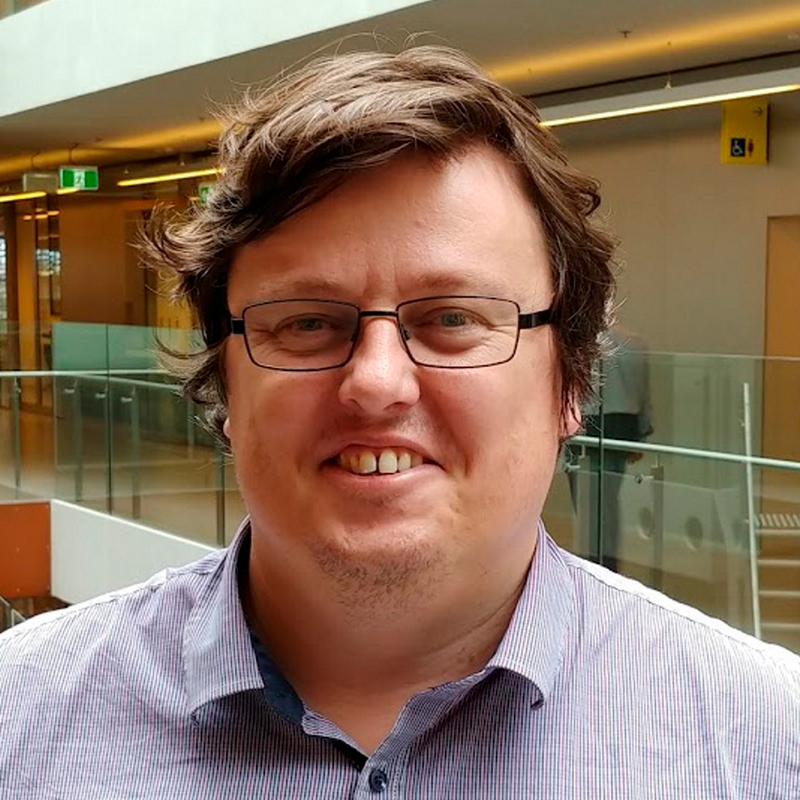 Dr Surawski has been employed as a lecturer in Environmental Engineering at UTS since late 2016. Prior to this appointment, he undertook doctoral studies in vehicle emissions at QUT, followed by post-doctoral positions at the CSIRO in pyrogenic carbon cycle dynamics and the Cyprus Institute in atmospheric aerosols. Through these research experiences, Nic has well developed expertise in the measurement of gaseous and particulate emissions from combustion systems as well as quantitative tools that draw from disciplines such as applied and computational mathematics, statistics and operations research to support these research activities. As such, Nic’s research activities are heavily focussed on mitigating the negative impacts of combustion processes occurring in the environment with emissions from vehicles and bushfires representing typical applications. Nic has delivered research projects to a variety of stakeholders in his work such as with city councils, alternative engine design companies and federal environmental departments. Dr Surawski is also the coursework projects co-ordinator for the School of Civil and Environmental Engineering. © 2018 Environmental cycling of the toxic metal mercury (Hg) is ubiquitous, and still not completely understood. Volatilisation and emission of mercury from vegetation, litter and soil during burning represents a significant return pathway for previously-deposited atmospheric mercury. Rates of such emission vary widely across ecosystems as they are dependent on species-specific uptake of atmospheric mercury as well as fire return frequencies. Wildfire burning in Australia is currently thought to contribute between 1 and 5% of the global total of mercury emissions, yet no modelling efforts to date have utilised local mercury emission factors (mass of emitted mercury per mass of dry fuel) or local mercury emission ratios (ratio of emitted mercury to another emitted species, typically carbon monoxide). Here we present laboratory and field investigations into mercury emission from burning of surface fuels in dry sclerophyll forests, native to the temperate south-eastern region of Australia. From laboratory data we found that fire behaviour — in particular combustion phase — has a large influence on mercury emission and hence emission ratios. Further, emission of mercury was predominantly in gaseous form with particulate-bound mercury representing <1% of total mercury emission. Importantly, emission factors and emission ratios with respect to carbon monoxide and carbon dioxide, from both laboratory and field data all show that gaseous mercury emission from biomass burning in Australian dry sclerophyll forests is currently overestimated by around 60%. Based on these results, we recommend a mercury emission factor of 28.7 ± 8.1 g Hg kg 1 dry fuel, and emission ratio of gaseous elemental mercury relative to carbon monoxide of 0.58 ± 0.01 × 10 7 , for estimation of mercury release from the combustion of Australian dry sclerophyll litter. © 2018 Elsevier Ltd Forest fires are a significant contributor to global greenhouse gas (GHG) emissions. Accurate reporting of GHG emissions from forest fires requires development of detailed methodologies and country specific data for estimating emissions. In recent years, Australia has updated its national methodology for reporting GHG emissions from fires on temperate forested lands, using a Tier 2 approach of the 2006 Intergovernmental Panel on Climate Change (IPCC) Guidelines for National Greenhouse Gas Inventories. This involved refinement of the equation for estimating GHG emissions from fires provided in the Guidance, and the revision of country specific data which was derived from a comprehensive literature review. The refinements were key to transparent reporting and evaluation of the climatic impacts of mitigation actions such as forest fire management. In this paper we describe the steps required to develop a Tier 2 method in reporting fire emissions using this Australian example, the lessons learnt, and the steps required to reduce uncertainties in estimates. This paper may assist other countries seeking to estimate and report GHG emissions from forest fires by moving from the default Tier 1 method to Tier 2 using country-specific information. © 2018 The treatment of the contribution of woody debris (WD, such as branches or small logs >6–50 mm diameter) to the rate of forward spread of a fire in current operational forest fire spread models is inconsistent. Some models do not take into account this fuel at all (i.e. only consider the combustion of fine fuels (6 mm diameter)), while others incorporate effects based on little or no data. An experimental programme utilising a large combustion wind tunnel investigated the effect of WD on the spread of fires burning through forest litter (surface fuel) beds of 1.0 kg m-2. Fires spreading with (heading) and against (backing) the wind were investigated. Three treatments of WD load (0.2, 0.6 and 1.2 kg m-2) and a control (0 kg m-2) were studied using a single constant wind speed (1.0 m s-1) and a narrow range of fine and woody fuel moisture contents (10.0–12.7% and 9.2–11.6% oven-dry weight, respectively) determined by ambient conditions. Presence of WD was found to approximately halve the overall rate of spread of heading fires relative to when no WD was present, regardless of the level of treatment. No effect of WD on rate of spread was found for backing fires. Potential explanations of these findings and implications for the use of operational forest fire spread models are explored, as are future research needs. Particle emission characteristics and engine performance were investigated from an auxiliary, heavy duty, six-cylinder, turbocharged and after-cooled diesel engine with a common rail injection system using spiked fuels with different combinations of sulphur (S) and vanadium (V) spiking. The effect of fuel S content on both particle number (PN) and mass (PM) was clearly observed in this study. Higher PN and PM were observed for fuels with higher S contents at all engine load conditions. This study also found a correlation between fuel S content and nucleation mode particle number concentration which have more harmful impact on human health than larger particles. The highest PN and PM were observed at partial load conditions. In addition, S in fuel resulted in higher viscosity of spiked fuels, which led to lower engine blow-by. Fuel V content was observed in this study, evidencing that it had no clear effect on engine performance and emissions. Increased engine load also resulted in higher engine blow-by. The lower peak of in-cylinder pressure observed at both pre-mixed and diffusion combustion phases with the spiked fuels may be associated with the lower energy content in the fuel blends compared to diesel fuel. Recent advanced in the fields of nanotechnology and atmospheric sciences underline the increasing need for sizing sub-10-nm aerosol particles in a simple yet efficient way. In this article, we develop, experimentally test and model the performance of a High-Pass Electrical Mobility Filter (HP-EMF) that can be used for sizing nanoparticles suspended in gaseous media. Experimental measurements of the penetration of nanoparticles having diameters down to ca 1nm through the HP-EMF are compared with predictions by an analytic, a semi-empirical and a numerical model. The results show that the HP-EMF effectively filters nanoparticles below a threshold diameter with an extremely high level of sizing performance, while it is easier to use compared to existing nanoparticle sizing techniques through design simplifications. What is more, the HP-EMF is an inexpensive and compact tool, making it an enabling technology for a variety of applications ranging from nanomaterial synthesis to distributed monitoring of atmospheric nanoparticles. © 2016. American Geophysical Union. All Rights Reserved. Estimates of greenhouse gases and particulate emissions are made with a high spatiotemporal resolution from the Kilmore East fire in Victoria, Australia, which burnt approximately 100,000 ha over a 12 h period. Altogether, 10,175 Gigagrams (Gg) of CO 2 equivalent (CO 2 -e) emissions occurred, with CO 2 (~68%) being the dominant chemical species emitted followed by CH 4 (~17%) and black carbon (BC) (~15%). About 63% of total CO 2 -e emissions were estimated to be from coarse woody debris, 22% were from surface fuels, 7% from bark, 6% from elevated fuels, and less than 2% from tree crown consumption. To assess the quality of our emissions estimates, we compared our results with previous estimates which used the Global Fire Emissions Database version 3.1 (GFED v3.1 ) and the Fire INventory from the National Center for Atmospheric Research version 1.0 (FINNv1), as well as Australia's National Inventory System (and its revision). The uncertainty in emission estimates was addressed using truncated Monte Carlo analysis, which derived a probability density function for total emissions from the uncertainties in each input. The distribution of emission estimates from Monte Carlo analysis was lognormal with a mean of 10,355 Gigagrams (Gg) and a ±1 standard deviation () uncertainty range of 7260-13,450 Gg. Results were in good agreement with the global data sets (when using the same burnt area), although they predicted lower total emissions by 15-37% due to underestimating fuel consumed. Emissions estimates can be improved by obtaining better estimates of fuel consumed and BC emission factors. Overall, this study presents a methodological template for high-resolution emissions accounting and its uncertainty, enabling a step toward process-based emissions accounting to be achieved. © 2018 Combustion Institute. All Rights Reserved. Marine diesel engines using Heavy Fuel Oil (HFO) produce emissions of toxic compounds that have a negative impact on the environment and human health. A very limited number of on-board ship emission measurement studies have been undertaken due their logistical and regulatory complexity. An alternative way to investigate some issues relating to HFO fuels is by the use of a proxy fuel for HFO in a laboratory based diesel engine. Sulphur (S) and vanadium (V) are two elements of particular interest in HFO because of their relationship to particle formation and corrosive salt properties, respectively. An experimental engine campaign has been conducted on a heavy duty high speed six-cylinder turbocharged and after-cooled diesel engine with a common rail injection system. Principal Component Analysis has been applied in this study to investigate the relationships between: (i) measured engine performance and emissions variables and (ii) fuel S and V content and engine load. © 2018 Combustion Institute. All Rights Reserved. This paper describes a one-dimensional thermodynamic model developed using AVL BOOST with the objective of analysing the performance, combustion parameters and NOx emissions of a Euro III, six-cylinder turbocharged Cummins diesel engine. The model was validated against experimental data obtained from the same engine run at a constant speed of 2000 rpm at varying load conditions (full, three quarter (3Q) and half load) using low sulphur diesel fuel (D100), as well as fumigated ethanol at 10% (D90), 20% (D80) and 30% (D70) substitutions (by energy). The results for D100, D90, D80 and D70 were found to be in good agreement with the experimental data. The percentage variation for engine performance parameters such as: brake power (BP), indicated power (IP), indicated torque (IT) and mean effective pressure (MEP) for D100 have been found to be approximately in the range of -5% to 1.5% for all loads, whereas, the fuel energy variation was only 0.33% for all loads. With increasing ethanol fumigation, a rise in peak pressure of the cycle, more rapid initial heat release rate and a reduction in the NOx emissions were observed in this study.